Are you a beginner at learning Japanese? Want to learn Japanese quickly? Want to learn basic Japanese grammar? All grammar and phrases you'll find in this course are concise and essential. Anyone can learn Japanese quickly and logically using this course developed by an experienced Japanese teacher. 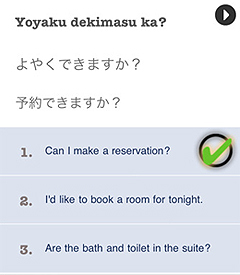 This Traveler's Japanese application comes with audio (totaling over 75 minutes) so that you can practice speaking Japanese by simply tapping on Japanese words and phrases on the screen. This Traveler's Japanese application covers most of the situations that travelers will encounter in Japan. 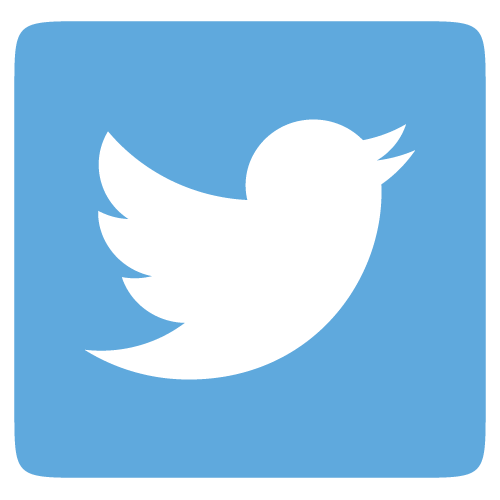 - Very useful app on the go while you are visiting Japan. - Developed by experienced Japanese teacher. - No data connection is necessary for running the application. - It's NOT just boring memorization. You'll learn when you need to say certain words and phrases. 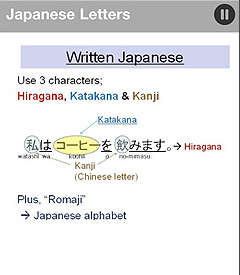 - Super easy "Japanese grammar explanations." 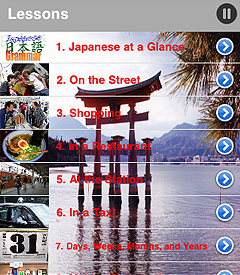 - Covers the topics that most travelers encounter in Japan. - You can check your progress with the Word Quiz & Phrase Quiz. - You can bookmark words & phrases in different folders that you can create. - You can peruse the history of the words & phrases you've previously accessed. - Comes with searchable (in English or Japanese romaji or kana) glossary for all words & phrases.